When you think about it, pretty much any item in your household can be used for survival and prepping purposes. Even some the things you throw away every week can be re-purposed. Some of these items are simply nuts which is why I want to make a list and see which ones are completely useless and which ones are actually helpful. Let’s get cracking with another one of my lists! If you’re into skateboarding, why not use it as a bug-out vehicle? You’ll move faster, at at least 15mph (even with a bug-out bag on your back) as opposed to 3-4 miles when walking. Forget the ones you can make from string and a piece of wood. This tactical bow will help you hunt like a pro, with maximum accuracy. 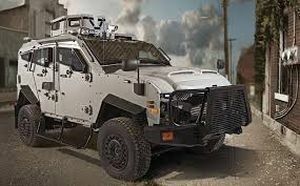 The Oshkosh Tactical Protector Vehicle is anything but ordinary. It’s big, bulletproof, it has great gas mileage, and can keep you safe in most survival situations. 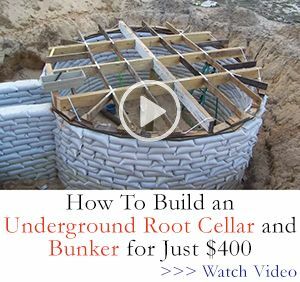 However, it’s pricey and if a gang of warfare gangsters traps you inside… you will come out eventually. This is another great alternative to the skateboard. A better one, I would say, because it allows you to hang stuff from its handlebars. Plus, there’s an invasion of electric kick-scooters lately. 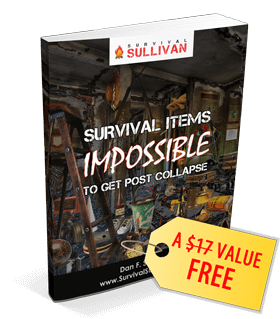 There are a lot of survival gadgets out there but this one really draws attention. The cool thing about it is that it is specifically designed to be hung from a tree, which means you’re protected from certain wild animals. Boomerangs are great for hunting birds when you’re out in the wild or even in the city, trying to catch some pigeons. Hint: I suggest you practice with it BEFORE disaster strikes. There are more uses for tampons in survival situation that you might think. Use them as tinder to start a fire, as a bandage (using duct tape to secure them to your skin), or insert directly into a wound to slow blood loss, to filter water, and so on. You can attach it to a pole to make a spear, you can throw the way it is to hunt small game, or you can use it to hang stuff from a tree. Try this one from ESEE Knives. You may not have time to use them for playing guitar in a disaster situation, but they are good for fire-starting. The reason I recommend them is that they work very well in wet conditions. Believe it or not, I have heard of people selling their house to go live on a boat as a way to prepare for what’s coming. It’s a perfect way to completely disappear when the entire country is going down the drain. It does have it’s disadvantages though, the biggest one being that if someone does chase you, the capacity to outrun them is limited, unless you have a backup motor. Post-SHTF, backup motors may be scarce and refueling is going to be a problem as well. Though my assistant cheerfully suggested the use this Japanese concealed weapon to hunt squirrels, you can use it hunt bigger game as well due to the lethal damage they inflict when thrown with enough force. Use it as a slingshot, to scoop water from a river, and so on. For women, its original function is also very useful when running through the woods / bugging out. If you think a whistle isn’t enough, try a sound horn. It’s guaranteed to be heard up to a half a mile away. If you live near the desert or in a climate with hot summers, a hand fan is cheap, lightweight, and doesn’t require any electricity. This is another great bug-out vehicle if you have a lake, a river, or even the ocean in your vicinity. You can use a handheld electric motor to allow you to move quickly through the water or use just the paddles for silent transportation. If your bug out vehicle has extra room, you can store a lightweight portable motor weighing around 16 lbs. Barring that, look for a boat that weighs less than 10 pounds when not inflated, put it in your bug-out bag and lash the paddles to either side. It certainly seems like a wacky choice but how can it help? 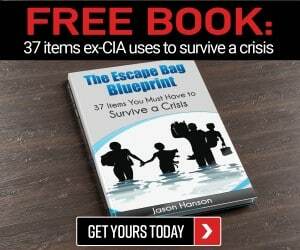 You can use it as a lifebuoy to save someone from drowning, you can put it inside your bug out bag as a flotation device or use for entertainment. These items aren’t wacky but they’re definitely uncommon. They deserve to be mentioned simply because they’re practical and, as you’re about to see, some of them are pretty important. Lice (and many other things) are going to be a problem post-SHTF, that’s for sure. Post-disaster hygiene is definitely going to be a problem. Lightweight and compact – that’s all they need to be. Lots of uses for them, from carrying water to starting a fire to staying entertained post-SHTF. You just never know when you’ll end up in the water. You may try to cross a river or simply try to catch fish with your bare hands and a spear. Goggles can also be helpful in the event you are trapped in a sandstorm or other situation where debris fills the air. Think about it: who is going to sell you nail clippers post-collapse? And how can you replace them? Well, those were it! Before you rush over to Amazon to purchase some of these, keep in mind that not all of them are feasible, and that some of them may not be useful to you (depending on where you live, the climate, etc.). By the way, do you have any other wacky survival items that belong to the list? Leave a comment below. Pool noodles they have a million uses.